Haven’t been scuba diving lately and want a quick refresher? The PADI ReActivate™ program is the perfect way to brush up on your knowledge and skills from the PADI Open Water Diver Course before jumping back into the water. Reactivate is quick and easy, and a good way to prepare for your next Scuba Diving Course or get ready for that well deserved scuba diving vacation. The best part is, divers who complete both the knowledge and in-water skill refresher receive a replacement certification card with a ReActivated date on it, so you can dive without hassle as a safer, more aware diver. Any PADI certified diver who wants a refresher or pre-travel update should ReActivate. Dive shops appreciate seeing a recent ReActivate date on your certification card because it means you’re ready to dive in and don’t have to waste a day in a pool or shallow water re-qualifying yourself…and with us you’re going to even learn some new techniques and information. If you want to learn more about diving in a new area or in different dive conditions, also ask about completing a Discover Local Diving experience to one of our awesome local dive sites. ReActivate is a new PADI program, so feel free to sign up for Scuba Tuneup with us Online on eLearning. That will depend on how long you’ve been out of the water for or if you’ve been trained by Dan’s Dive shop previously or not. Because we offer the most progressive dive training in the country, you’ll learn a lot of techniques that aren’t taught anywhere else, but that help enhance the diving experience, making diving safer through more awareness, more structure, more organization using Sequencing, Air, Depth and Duration or SADD checks, Bubble Checks, Safety Drills, a more progressive equipment configuration focusing on standardization, streamlining and simplicity, horizontal trim, posture, buoyancy, proper balance in the water, use of less weight, proper fin techniques teaching divers how to minimize fin movement and effort while maximizing propulsion without silting or causing any physical damage to the reef or aquatic environment, while offering the diver proper and perfect horizontal trim/posture in the water and making the you more aware of your gear, your buddy, your air gauge and some basic dive rescue skills. 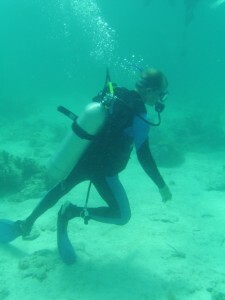 In the water, your DDS Instructor will help you regain comfort and confidence in scuba diving. You’ll practice a few safety-related skills and then go over anything you specifically want to review and if you haven’t been subjected to more progressive diving, this is the perfect time to start learning how to dive in this millennia. Contact us today to get ReActivate Touch or ReActivate Online and start working through the scenarios. Or, download the PADI App to your tablet or mobile device (if you haven’t already) and purchase ReActivate Touch to get started immediately. Then, schedule your ReActivate water skills session. Divers who have been away from diving for decades should consider taking our full open water course over again. It isn’t a requirement, but you likely are not going to be a progressive diver who has learned finesse and proper trim, posture and equipment configuration. More likely you dive like the “what not to do divers” pictured above. Please consider ReActivating and overhauling your existing knowledge of scuba diving. To Learn more about Progressive Diving and newer diving techniques, have a look at the NTEC Course Outline and our DDS Student Diver PDF Diving has changed, shouldn’t your skills and knowledge? There are 2 parts to the PADI reActivate program. Part 1 is completed online with a supplied PIN Code for PC or iPad Touch. Cost is $65 for the online portion, which includes your new reActivated PADI certification card re-certifying you at your highest level of certification. Part 2 is the watermanship skills portion which covers you for a night in the pool with one of our PADI Divemasters , Assistant Instructors or Instructors $85 includes backplate/regulator set/tank and of course instruction and pool time. 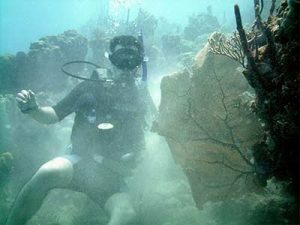 You’ll use basic scuba gear including a mask, snorkel, fins, regulator, BCD or learn how to dive with a more progressive diving harness a Backplate and a scuba tank. The exposure protection you need will depend on whether you dive in a pool, confined water or open water dive site. Our staff will explain other equipment you may need to ReActivate. Want to know more about ReActivate PADI Refresher Course?